Browsers, Clouds & Computing: Cloud Computing according to Yahoo! Cloud Computing according to Yahoo! 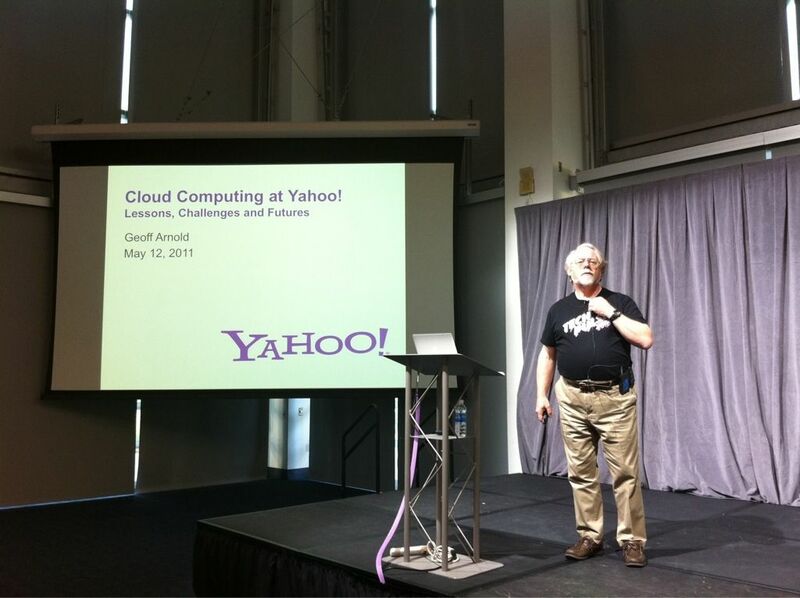 In a presentation yesterday at Cloud Computing at Yahoo! Lessons, Challenges and Futures, Yahoo! Cloud Wrangler Geoff Arnold presented a view of how the Yahoo network needs to evolve in the present day cloud computing environment. Although the actual extent of the present day Yahoo network could not be divulged for obvious reasons, Geoff argued that public cloud providers like Amazon Web Services (AWS) could not support the functionality that is expected of the Yahoo network. Even if the public network were to be made use of for a 24x7x365 production network, Yahoo would have to rent bare metal CPUs networked and storaged1 together, and I do not know if the economics for such a deployment is already there. (We know, though, that Netflix uses AWS for streaming movies to its subscribers). This is probably true of other network based services such as Facebook's, Google's, etc. The Yahoo! 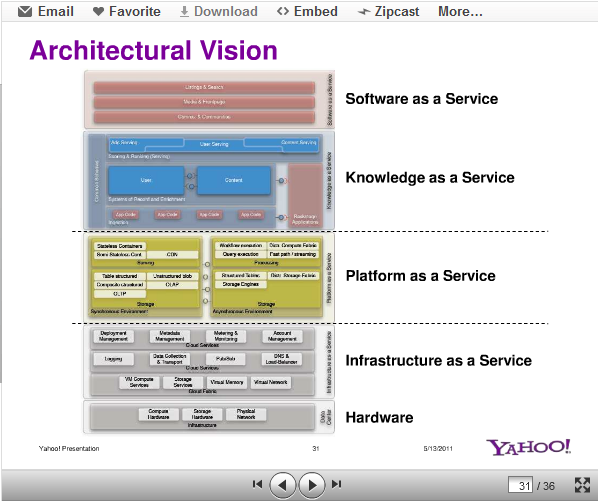 cloud architectural vision that was laid out — slide 31 on Slideshare.net — somewhat explains why general purpose public cloud services may not be sufficient: There seems to be substantial functionality that is somewhat Yahoo-specific that is not necessarily readily available in the public cloud. And, Geoff talked about "planet scale" for most of the functionality Yahoo delivers. In addition to the familiar layers of SaaS, PaaS and IaaS, that are probably richer than their run-of-the-mill counterparts, he also sees a Knowledge as a Service (KaaS) layer sandwiched between SaaS and PaaS. Overall, you come away with the awesome feeling that the Yahoo network is really very big. 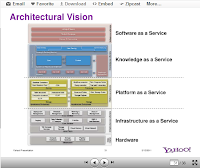 The video of the presentation is at the Silicon Valley Cloud Computing Group channel at Ustream. 1We can regard this kind of journalistic license [of creating new verbs on the fly] as an advantage of the computer science profession.